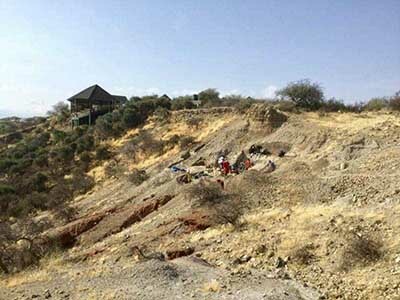 Researchers Nicholas Toth (Stone Age Institute and Indiana University), Kathy Schick (Stone Age Institute and Indiana University), Jackson Njau (Indiana University and Stone Age Institute), and Ian Stanistreet (University of Liverpool and Stone Age Insitute) have together conducted the Olduvai Gorge Coring Project (OGCP). 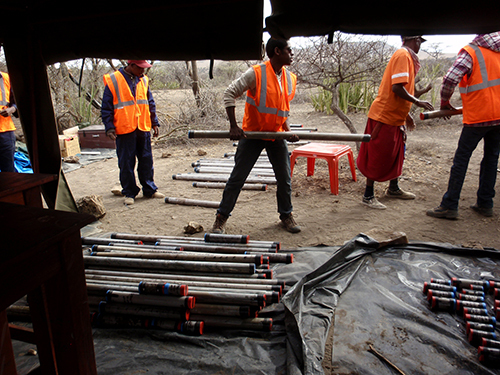 The core drilling took place in late 2014 at selected locations across Olduvai Gorge, resulting in cores that reached a depth of 245 meters (over 800 feet). These cores more than double the previously known stratigraphic history for the gorge deposits, and provide an invaluable record of climate and environment from recent times back to 2.4 million years ago. 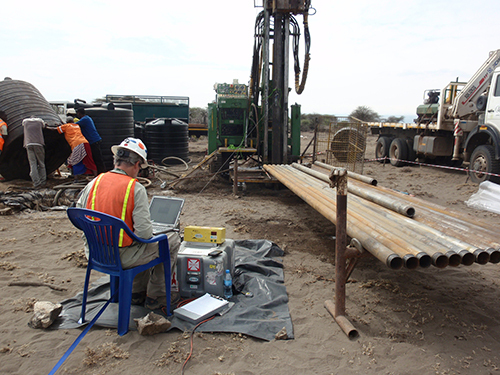 The resultant cores will be analyzed for years to come by a wide variety or scientists, including paleoclimatologists, geologists, paleoecologists, paleontologists, etc., and will continue to further our knowledge of the geology, climate, and environement at Olduvai Gorge as new information is revealed by these researchers. The planning and implementation of the coring project was massive and involved the efforts of a large staff and a variety of large equipment, technology, and manpower, along with the cooperation of the Ngorongoro Conservation Area Authority. To view photos of the various stages of this project, visit our Photo Gallery. 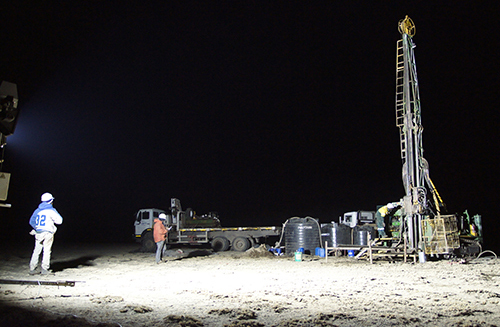 Left: Drill operator at the drilling site. Right: Project staff relaying cores to be transported to the lab.